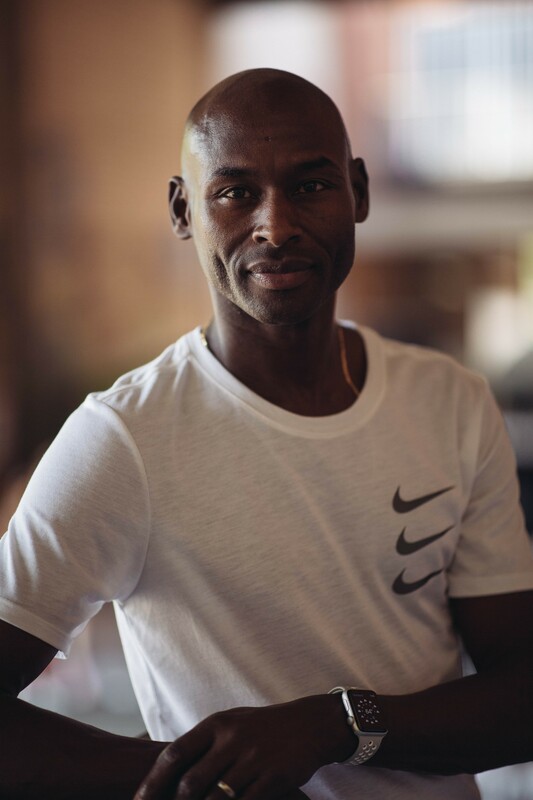 Five-time Olympian Bernard Lagat is renowned for his 1500m, 3000m and 5000m track performances, however after making his marathon debut at the New York City Marathon last year, he’s keen to do it again, this time at the Gold Coast Marathon. Australia holds a special place for Kenyan-born Lagat, as Sydney 2000 was his first Olympics. Since then he has competed at every Olympics, once more for the nation of his birth followed by three outings for his adopted homeland, before becoming the oldest US Olympic runner in history. The International running superstar has an impressive thirteen medals in World Championships and Olympics including five gold medals. After Rio 2016, he retired from track competition, however for 44-year old Lagat, not one to let age quell his running ambitions, he has started a new phase of his running career – marathon running! We spent some time getting to know Lagat a little bit more, how it’s his sibling rivalry that’s his biggest motivator, even on the world stage, and just how running the big distance is a different game and what he’s doing to prepare for his Gold Coast Marathon challenge ahead. The New York Marathon was your debut marathon, how was the experience and what have you learned? 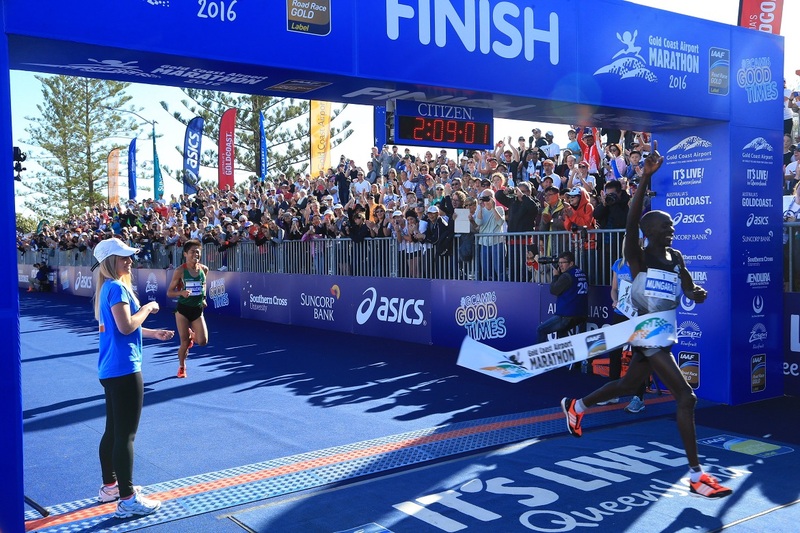 How do you think the Gold Coast Marathon will be different? I knew that the New York Marathon was going to be a beast. I was going into that knowing it’s one of the toughest courses, but I needed it to show myself that I can run a successful marathon. One of the most important things I learned from running the New York Marathon, was the experience of “hitting the wall.” A lot of people warned me about it and told me to watch for it, but nothing quite teaches you like living through that experience. When I hit the wall in New York, I panicked a bit, questioned myself if I could finish, but then quickly told myself to calm down and focus on one mile at a time. Instead of letting negative thoughts enter my head, I looked into the supporting crowd and took in as much energy as I could from them. You see, on the track, you don’t really have time to hear the crowd or think too much. But in the marathon, you have lots of time to think and look around! Especially when I was in “no man’s land” (no other running in front or behind me). I had never been in a situation like that before, and the only thing I could do was to rely on the fans to help me. The Gold Coast Marathon will be different in that, the course is flat. Part of hitting the wall was because my legs weren’t prepared for pounding on pavement for 42.2km. I have to balance my training on soft surfaces (dirt or gravel roads) to prevent injuries, but also get my legs used to the hard blacktop during the marathon. For the Gold Coast Marathon, I have switched more of the long training runs onto pavement. During the race, I don’t want to get caught in no man’s land again, but if I do, I hope people will know me in Australia and help me through. Why did you choose the Gold Coast Marathon over the plethora of US races in which you could prepare for February’s 2020 US Olympic trials in Atlanta? I chose the Gold Coast Marathon because of the date and course. A marathon in July gives me the perfect amount of time to prepare and I heard that the Gold Coast Marathon course is flat, and after New York, I wanted to try a flat course and go for a faster time. I want to make sure that I gain experience on different types of courses. New York was a tough course, and I knew I wanted to debut with that because it was a true test if I could run a marathon. Now I have more confidence, and I want to go for a faster time. Sara Hall and Laura Thweatt, who both ran half marathon personal records last year, and Jeffrey Eggleston, who ran a marathon PB in 2014, are US athletes who have all tasted success on the Gold Coast in recent years, and we’ve had interest from a number of other American runners with marathon PBs in the 2:15-2:18 range wanting to race Gold Coast this year in the lead-up to the US Olympic trials. Do you think we will see more US athletes running on the Gold Coast in the future? I believe so. It’s tough finding a marathon in the middle of summer in the US, so we are grateful that it’s winter in Australia! It’s becoming more popular due to the success of the past runners as well. Athletes need a place to run a flat course for a faster time, so I see more professional athletes running the Gold Coast Marathon in the future. How does preparing for a marathon compare to training for the 1500m and 5000m races for which you’re renowned? 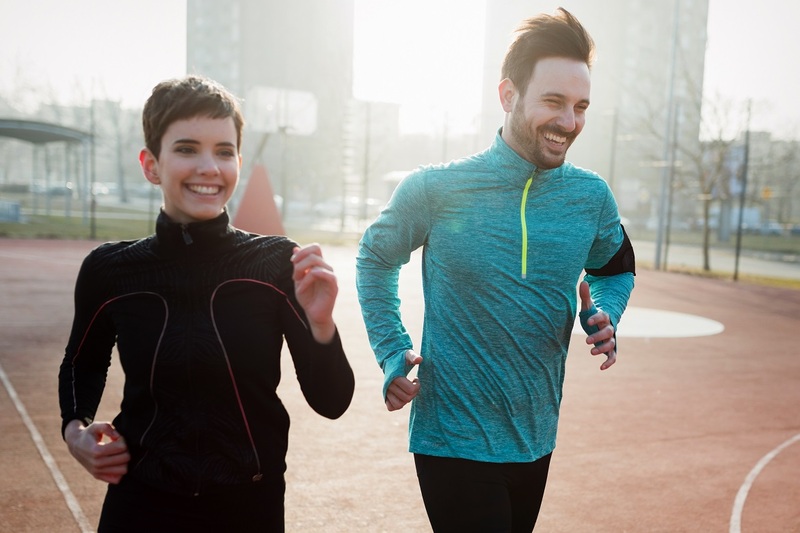 For the marathon, you have to learn how your body can adequately handle the training of increased mileage needed for the marathon. When I was running 1500m or 5000m, I trained fewer miles but at a faster pace and with greater intensity. For marathon training, I have to make sure I am well rested and hydrated before my long runs. I also have to organise for someone to come along and hand me my hydration. Sometimes this means altering my training to a time when someone is available to help me. For the track, I didn’t have to worry about any of that. The Gold Coast Marathon’s fast, flat course and ideal winter running conditions mean that 60% of participants achieve their personal best times. Are you hoping to set a new personal best? If so, how much are you hoping to shave off your 2:17:20 time? When training for this marathon, I’m constantly thinking about lowering my personal best (although my PB is from only one race!). Recently, my younger brother Nathan Lagat ran a family record of 2:12:05 in China (breaking my older brother William’s family record of 2:12:09). I want to challenge my brothers’ times by running 2:12:00 or better! The Sydney 2000 Olympics was your first Olympic Games in which you won bronze in the 1500m, have you run in Australia since? Yes, Sydney 2000 was my first global medal. Australia has been good to me and the first Olympics will always have a big place in my heart. I returned to Australia in 2001 for the Goodwill Games in Brisbane and IAAF Final GP in Melbourne, and Melbourne Track Classic in 2011. How do you plan to celebrate your marathon finish on the Gold Coast and what are you looking forward to seeing when you’re here on the Gold Coast? I have never been to the Gold Coast, so I’m excited to see everything it offers. My agent is Australian, so I’m sure he will show me around to some good Aussie favourites. In particular, I would like to take in some Aboriginal culture and experiences. You’ve been quoted saying, “if you believe you’re old, you’ll run like an old guy.” At the age of 44, now heading into your second marathon, what is your advice to someone wanting to pick up running later in life? Running is a stress reliever! I love a long run at any pace, just myself with nature, alone and getting lots of thinking done with no distractions. If you don’t like being alone, or need the motivation, find a group of likeminded individuals. You’ll soon realise how easy and motivating it is to run in the company of others. It’s certainly a refreshing feeling to be out there sharing laughter and stories with your friends while running at the same time. 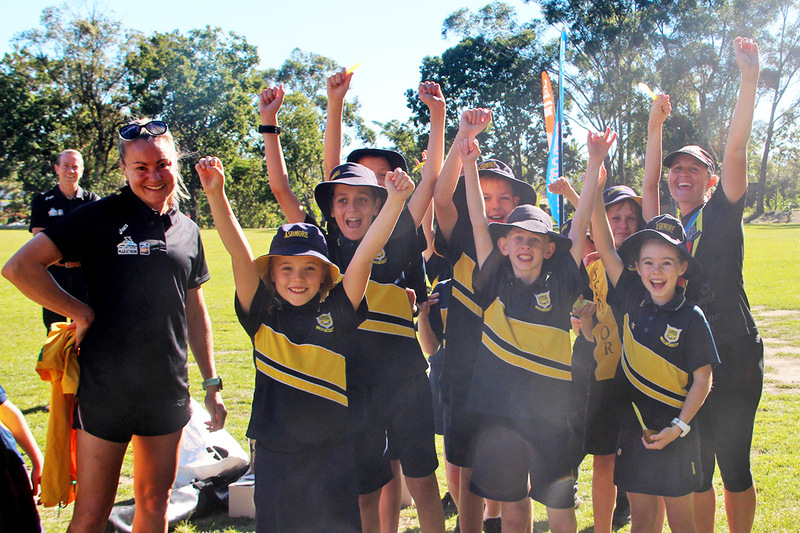 Its famous flat, fast and scenic course located alongside the city’s renowned surf beaches and stunning broadwater plus ideal winter running conditions featuring low humidity, little wind and mild temperatures result in 60 percent of participants achieving personal best times each year. Check out physiotherapist Brad Beer’s podcast with Bernard Lagat.